The product line of our clay paints is now wider - in addition to the white clay paints we have new yellow, beige and red ones. The paints are our own production and consist of mainly local components. The clay paint is suitable on many surfaces, you can use it on plaster, wood, gypsum, cardboard, stone, etc. It just has to be a dry room as clay paint does not withstand humid environment. We sell the clay paint as a dry mixture packed to plastic buckets. Making the paint is very easy, you must add water to the dry mixture in relation 1:1 (add 5 litres of water to 5 kg of paint). The squarmetre prices of clay paint begin from 0,85 euro/m2. 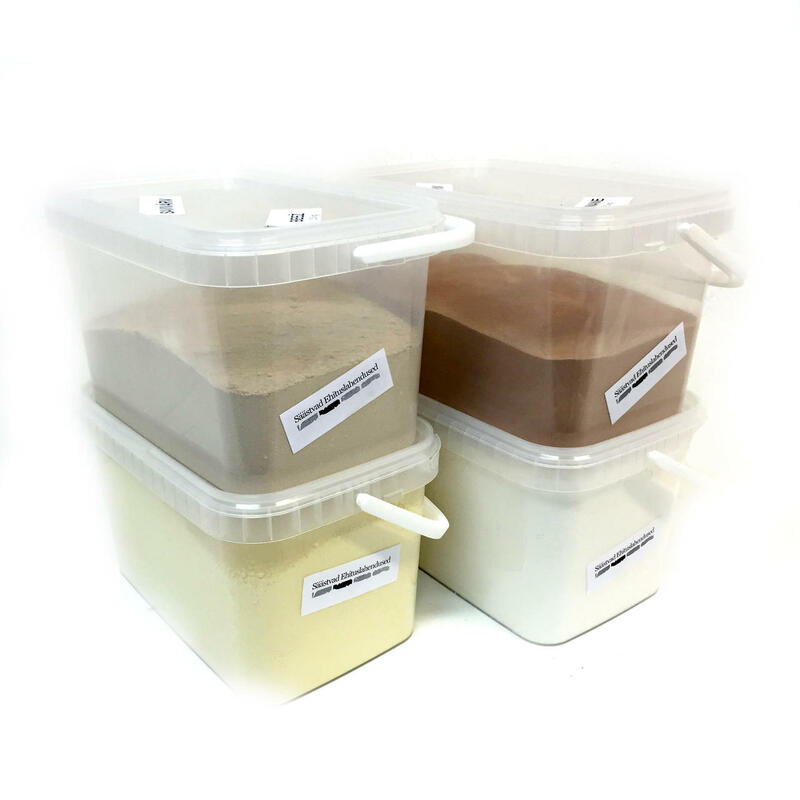 You can see our clay, lime glue and casein paint selection on our PRODUCTS page. You can come to see the samples to our warehouse in Lina 5, Tallinn.